Regular readers of my blog will know that I am "Irish". Technically as I was born here, I am what they call a "Plastic Paddy". But see, despite being first generation "English" I consider myself Irish, because BOTH of my parents are Irish. People are quite happy to say "I am half THIS and half THAT" well... logic dictates to me that if BOTH halves are Irish then I am Irish. Me and my Mum rowed over this many times over the years with her saying "you were born here" "you have a British passport" "you are British". Technically she is legally right, of course. I know this. Doesn't mean I like it. Which is why I thank God every time I complete one of those Ethnic Origin monitoring forms, because every once in a while, in the WHITE section there is an option called Irish and I tick it with glee. Anyway, I was "made in Ireland" as that is where they conceived me, before they rushed on to the boat, to take their sinful selves off to be married in the big smoke, so that I could be born IN wedlock. Fast forward to my school years and my Mum couldn't take the whole 6 weeks' Summer holiday off work. She was a full-time working single parent by this stage. So what did she do, she packaged me off to Ireland, so I had 6 weeks of running free in the great outdoors every year. I guess THAT is why I encourage the outdoor side of my Aaron. I was so in love with my Ireland, that I had my 21st birthday party there (it's a bigger deal in Ireland than here). Let's just say my cake looked like a wedding cake, the venue IS booked for weddings (the Welcome Inn in Castlebar - if it's not now it was then), and the guest list of family was as big as what I later had at my wedding. Speaking of wedding, that was there too, in the same Abbey as a rather big celebrity. Naturally we did not have the same reception venue booked though. I like to go to Ireland about 3 times a year, but I am yet to go in 2014, and am currently trying to decide if I can make a wedding there this February (yes I know, I am a last minute girl as always). Nothing changes. I have been on many a trip to Dublin though. My hubby and I went to Dublin for 4 days on an Easter break from University. We stayed in a youth hostel in Dún Laoghaire, and got the Dart into the City each and every day to see the sights! We were such broke students that we even got the train and the boat there and back. Bless! I always fly now, apart from May last year when Aaron and I went in the car (and boat) with my Dad and his wife to keep costs down for a wedding we were going to. I have now discovered that Cork is Ireland's second City. We'll have to add that to our list of places to visit when we eventually - one day - go on our big road trip :-) Don't listen to the people who say it is the third city, they are ranking it behind Dublin and Belfast and we all know that Belfast is part of the UK right? It's no secret that I like a drink. When I worked in Homebase my nickname was lager lager. However when I am in Ireland I like to partake in the Guinness! Always with a dash of blackcurrant!!!! It's true Guinness IS good for you! Cork has a bustling nightlife scene, featuring some rather interesting old pubs. Why not book a stay in one of Travelodge's Cork hotels and head off to Ireland's third second city to experience a different side of its history. Literally translated as 'That's it', in reference to the funeral parlour next door, this great old pub is the home of Traditional Irish music in Cork city. Sin é opened its doors in 1889 and has been hugely popular ever since thanks to its friendly atmosphere. Here you'll enjoy a stout, maybe watch the horse racing, enjoy an impromptu sing a long and of course tap your feet to the sound of Irish bands playing. Located on the corner of the oldest street in Cork, The Oval is named after its spectacular ceiling design. Still in its original condition over 200 years later, it's the only pub within the city to have been included on the list of important 20th Century buildings in Cork. With a diverse clientèle, including the ghost of a soldier, you'll have a great time in this delightful old pub. So order a whiskey, pull up a chair by the roaring fire and enjoy the atmosphere. No visit to Cork would be complete without visiting this historic drinking establishment. Situated in one of the alleyways that surround the English Market, where sheep were once herded past its very doors for sale at the market, it's a dark, traditional Irish pub steeped in history. The pub is hugely popular and even remained so during the Irish civil war when the opposing sides would simply take up their place on the opposite sides of the pub, never allowing their political quarrels to overspill into their time in the pub. With a huge mural running the length of the lane outside, interwoven with local stories, this is the place to come if you really want to get to the heart of Cork and its residents past and present. You'll always find a friendly welcome in Cork's pubs and they're a great place to learn about the history of the city and get recommendations for what to do during your stay. What could be better than a recommendation, over a pint, from someone who lives in the city after all? The Irish like to talk so don't be shy! 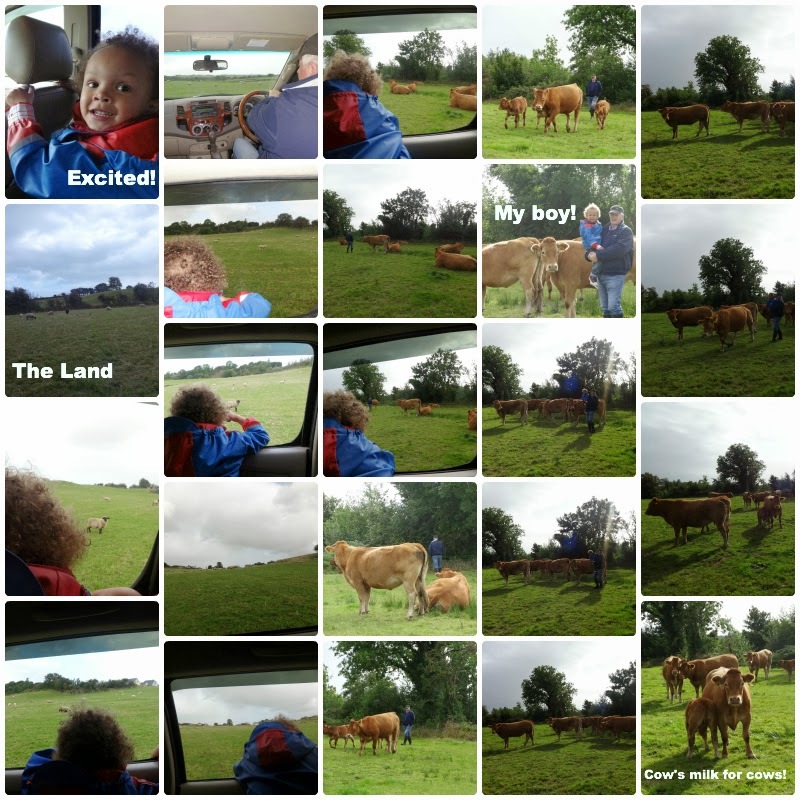 This post was a collaboration, but as you can probably tell, I can write about Ireland forever and a day :-) or until as they say "the cows come home" - seen quite a few of them there too! Luckily despite the Celtic Tiger and many changes I do still have a few farmers in the family! I would love to go to Ireland one day. And now I'm intrigued by guiness with a dash of blackcurrant.